Beautiful condo. Super helpful host. Would definitely recommend. Beautiful views of ocean. A beautiful view to the ocean and very clean! Devereaux took care of our every transportations need and is wonderful with correspondence. The property is gorgeous, clean and the staff is great. Good restaurants in walking distance. The owners personally picked us up, told us a bunch about the island and history, made sure everything was perfect. They were very friendly and sincere. The entire place is gorgeous, the rooms are huge, apartment like size with these huge balconies. The balcony was as big as the rooms are. They have a kitchen which really helped us save some money while there. The bed was very comfortable and clean. It was a short walk to the beach and it was very peaceful with not very many people to bother you. If you want more people watching and restaurants and shops you're ten min away by car. From the time we walked in the room we could smell the freshness of the place. The room was very welcoming and cozy. Really enjoyed our stay. From start to finish the host, Deveraux, was very welcoming and we appreciated the place having everything we needed. We also took advantage of massages and facials through Equilibrium Spa (highly recommend Kaleasha and Uriel). The beach was a very short walk and we essentially had a nice little stretch of beach to ourselves during our stay. The place was clean, quiet and the bed was very comfortable. Great value for the price so I would highly recommend to others. The place was within walking distance of several restaurants and the beach. Deveraux was very knowledgeable and was a great help! Can't wait to return!! Deveraux was such an amazing host!! He was able to tell us so much about the area and went completely above and beyond to make sure everything was perfect. I would definitely recommend staying with him as your host. Our host was amazing! Great chatting with him and getting to know the area. He also gave great suggestions and helped coordinate a few minor things for our stay. Fully recommend! Lock in a great price for La Vista Azul Resort - Studio – rated 9.6 by recent guests! Offering views of the sea, La Vista Azul Resort - Studio is located in Turtle Cove, Providenciales, 3.1 mi from Grace Bay. 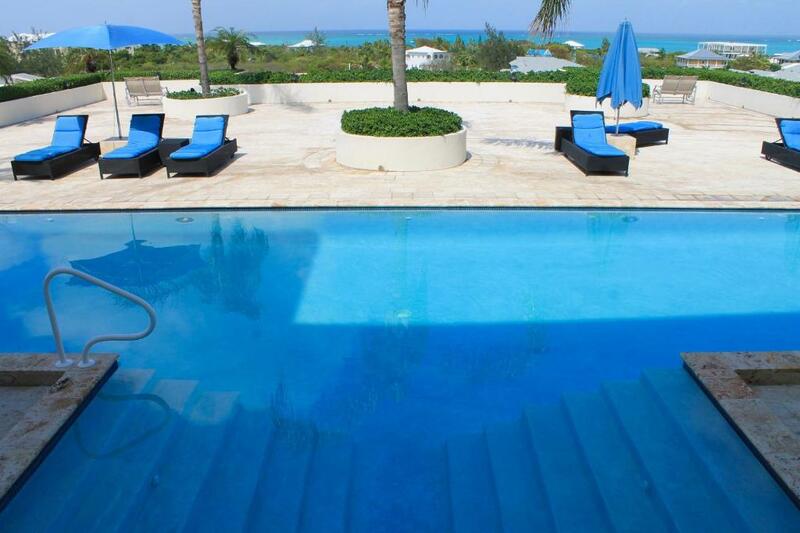 The accommodations features a hot tub, 2 outdoor pools and Free WiFi is offered throughout the property. The accommodations is air conditioned and is equipped with cable TV. This unit includes a balcony. There is also a kitchen, equipped with a dishwasher, oven and washer/dryer. There is a private bathroom with a hairdryer. Towels are provided. La Vista Azul Resort - Studio also offers massage treatments and includes a spa and fitness center. 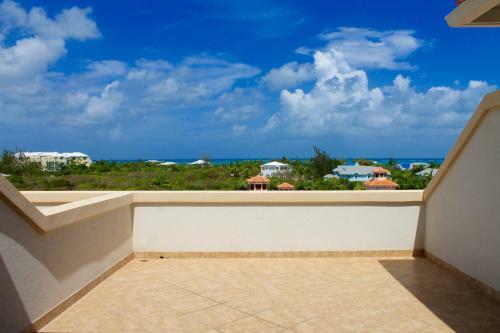 The nearest airport is Providenciales International, 2.5 mi from La Vista Azul Resort, and the unit offers a free airport shuttle service. This property is also rated for the best value in Turtle Cove! Guests are getting more for their money when compared to other properties in this city. When would you like to stay at La Vista Azul Resort - Studio? This apartment has a balcony, hot tub and tea/coffee maker. I was born in the Turks and Caicos Islands where I currently reside. I was schooled in the Turks and Caicos, New York and London England. I currently have a BBA, MBA, and Msc in Business and Computing. I am married with 2 children and currently work for Misick & Stanbrook Law Firm as the Office Manager and IT Manager. I also own 2 businesses, Equilibrium Spa and Data Management Technologies Ltd. 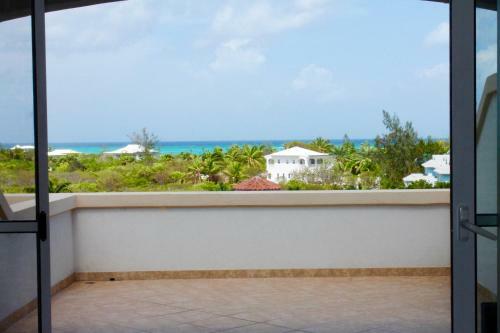 The area offers a variety of restaurants, grocery stores, cafes, bars, a casino, spa, marina, world class snorkeling and the beautiful Grace Bay beach. All within walking distance of the resort. House Rules La Vista Azul Resort - Studio takes special requests – add in the next step! La Vista Azul Resort - Studio accepts these cards and reserves the right to temporarily hold an amount prior to arrival. The host was very responsive. Taxis are a little expensive from here, however, our driver gave us his card, and was very reliable in coming back for us when we called. We went because our son was over on a football tour.We loved everything about the place.The people were very friendly and We will definitely be going back in the future.I would also like to thank Deveraux for being a great host and being there for us when needed! The drapes are in need of change but that did not impact on my stay. Devereaux was a gracious host. He went out of his way to ensure that all was in place and responded quickly to any concerns. The room was clean and inviting after a hard day's work. Deveraux was a pleasure to work with!! We loved everything about the hotel but thought I would give a few tips for the area. Rent a car for sure everywhere on the island is close by and be prepared the grocery stores close about ten. It was convenient and close to the other hotels were my other parties were staying.